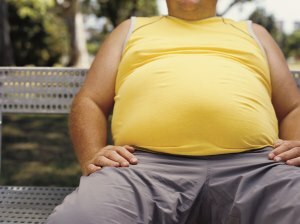 Obesity is increasing as a burden to the world, especially in America. Current data estimates that nearly 78 million adults and 13 million children are obese. This is a problem for public health because obesity has found to be associated with a number of diseases affecting nearly every organ system: the cardiovascular, respiratory, digestive, skin, and skeletal systems to name just a few. Obesity leads to many life‐threatening health conditions: heart attacks, high blood pressure, diabetes, gallbladder disease, and more. But what does it mean to be obese? And how about practical information for making positive lifestyle changes? The definition of obesity comes down to a simple calculation known as the “body mass index,” often abbreviated to BMI. Simply put, the BMI is a person’s ratio of their weight to their height. As one gains weight, the BMI also increases. Though it isn’t perfect, the BMI is valuable for making quick assessments on the general population, as a larger number typically means this person is carrying extra stored fat. This is caused by taking in more calories from food than are burned through work and exercise or through the basal metabolic rate, which is simply the amount of energy it takes to keep the body going. Many diets have come and gone over the years, often advocating for the complete removal of certain types of food (carbs, fats, gluten, processed foods, etc. ), but the simplest method to prevent or reverse weight gain is by reducing overall calories. A registered dietician can help you construct food plans including food choices, setting a calorie goal, and more. If you’ve decided to lose weight, you first estimate how many calories you need in a day. Many websites and fitness applications for smartphones can do this, or a dietician can help. Once you have that, you will need to subtract between 500 and 1000 calories from it, depending on how aggressive you wish to be with weight loss. Use that number as your goal for. In addition, it is helpful to exercise. This will help by adding additional burned calories, but it may also have direct health benefits, such as reducing heart disease risk. The specific regimen matters less than adequately working your heart and each muscle group. The American Heart Association recommends both aerobic/cardiovascular exercise paired with strength training for overall cardiovascular health, in addition to specifically lowering blood pressure and cholesterol. After understanding all of the above, what’s most important is recognizing an issue and staying motivated to work towards solving it! America has a habit of constantly presenting food to us, and it is often the least healthy option. Additionally, being obese might change the way we respond to temptations. As such, losing weight may present an incredible challenge. But every day is a new opportunity to learn how to better care for your health, and that includes a healthy diet and exercise. Remember that this is a lifestyle change, not a quick fix. Finally, don’t be afraid to ask for help.